Are you an elementary teacher looking to rethink what homework can look like in your classroom this school year? Imagine a new way of doing homework that replaces current homework with home learning! Experience the joy of having students and families enjoy learning outside of school… a homework reframe! Would you like to know more about how to rethink homework? Talk to your administrator about our professional learning opportunity “Learning Everywhere: Rethinking Homework”! 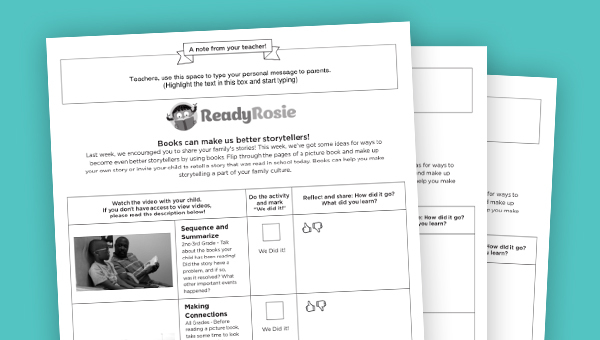 As always, we love to hear about your ideas and experiences when using ReadyRosie. Please feel free to contact us at info@readyrosie.com.